Grit Strength & Conditioning | #LovetheProcess - Educate. Inspire. Deliver. Contact us today and receive a FREE 30-minute consultation. 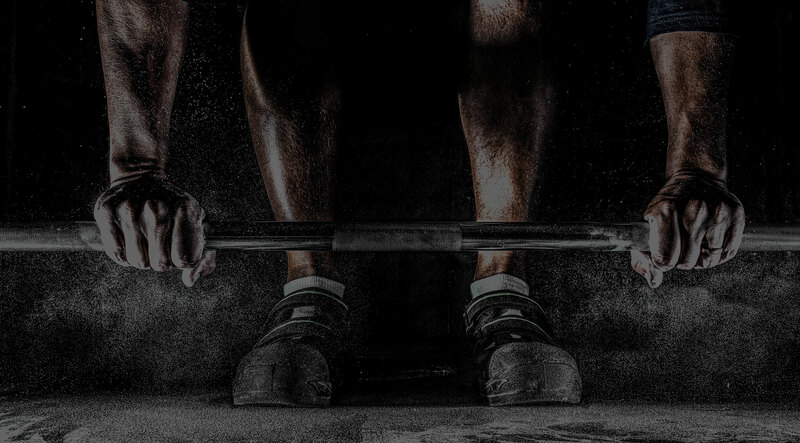 Welcome to Grit Strength & Conditioning. Contact us today and start reaching your goals! Grit Strength and Conditioning makes people accountable for their personal goals and inspires people to overcome their blocks and obstacles so they can realize their potential and transform their lives. We have lots of experience working with a wide variety of clients and have been happy to provide results they were after! See our testimonials for what our clients had to say. Each person is different. That’s why we take an in-depth approach when creating tailored programs to accommodate your specific needs. We strive to help you improve your quality of life, keep up with your kids, play a higher level of sports or reach whatever goals you set. Take advantage of the opportunity to achieve the results you want! Train with the best personal trainers in Muskoka! Start with our free in-depth needs analysis, pre-screening, and goal setting and get set up with the best program possible. Train with friends or people who share similar goals to you! This style creates a fun and motivating environment that helps excel your performance! Looking to move onto bigger and better things? Our rich history in competitive sports, education and years of practical experience helps set us apart resulting in setting you apart from everyone else! We believe that it takes much more than a weekend training course to develop the skills and knowledge it takes in order to provide the proper instruction to achieve lasting fitness and health. 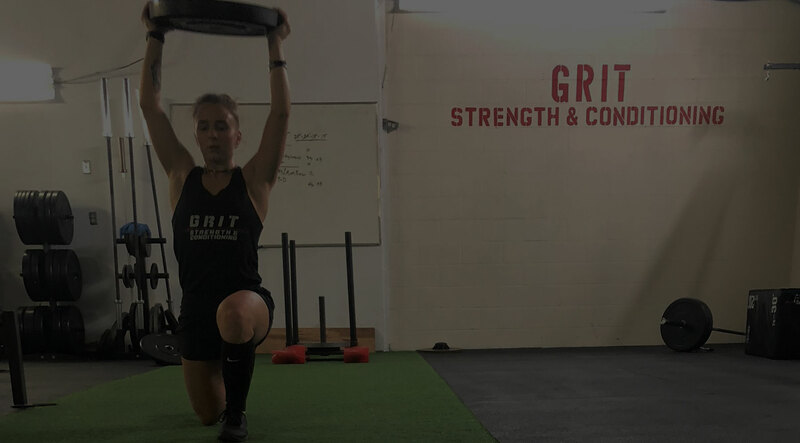 Grit Strength and Conditioning’s trainers have education and high-level certifications that offer each person that walks through our door in-depth information and value beyond any gym around. We’ll be with you every step of the way, answering any questions you may have about exercise form, workout routines and more. Your fitness and health goals start in the kitchen. We ensure you’re powered by a healthy, tasty, balanced nutrition plan that works. Learn how to stay safe with good posture and technique. With each of our clients, we take an individual approach rather than a one size fits all. 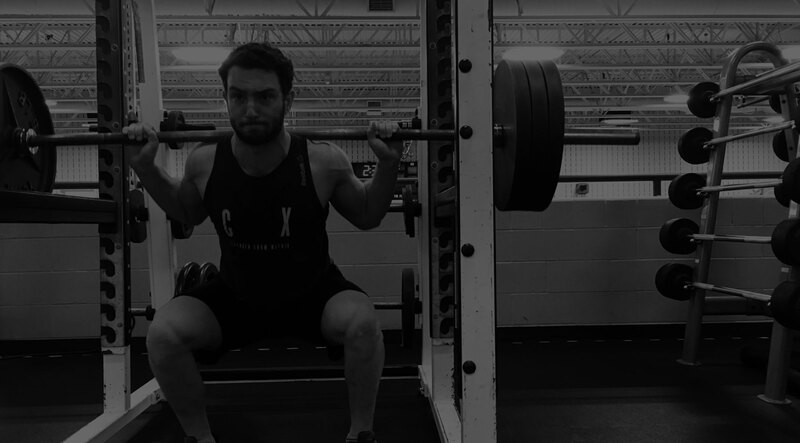 For each client, it does not matter if they have never stepped foot in a gym to a seasoned athlete, workouts and programs will be tailored for their current fitness level and goals to maximize results. With personal training being an unregulated profession anyone can call themselves a personal trainer. That is why at Grit our trainers bring qualified post-secondary schooling in the fitness & health field and extensive practical experience to our facility. Our owner, Brock Heshka, played high-level hockey in his upbringing. Himself and fellow hockey players struggled to find a place that fit their needs for sports training. Brock suffered a few injuries from poor personal training such as sciatica, back injuries and hip problems leading to hip surgery many years later. What Brock did not know is there are many different personal training certifications. He enrolled in college, studying fitness and health promotion. This is where his focus shifted and he found a passion for working with the general population. Brock wanted to offer a training offer experience that could be held to a high standard. There is also a lot of miss information in the fitness field such as diet plans, fat loss pills, fads etc. Also, the fear of being injured is the thought of many. Brock has been there and understands why you feel that way. It can be tough and confusing who to trust. That is why Brock went the extra step to further his education to offer you more value for what you need and want. I sought out a personal trainer after a back injury left me unable to get back into shape on my own without causing re-injury. I Googled, “Personal Trainer”, and luckily, I came across Grit Strength & Conditioning and Brock Heshka. I chose Brock because of his knowledge of, not only, health & fitness, but specifically his knowledge of how to strengthen and rehabilitate injuries. I have not been disappointed with my choice for one second!! Brock and his team are excellent at what they do! I have been working out with Brock for almost a year and the growth I’ve had, the strength I’ve built and the confidence that comes with it, could not have been done without his help! I am still not without setbacks but with Brock’s patience, he simply adjusts the exercises we do and we keep on moving forward. His individualized plans are effective, challenging and NEVER boring! Thanks, Brock, for giving me my life back!! Brock’s expertise has been integral to my health and healing journey. A year and a half ago, I was in a car accident which left me in pain and fearful to do the things I did before the accident. I found Brock’s website, emailed him and that was 6 months ago. I was never one to prioritize exercise, I am in my late 40’s and was not thrilled to join a gym but I knew I had to do something. I am SO GLAD I did! Brock has been a real blessing and he and his staff are non-judgmental, fun to be around and above all – professional and truly skilled trainers. The people he attracts as customers also reflect the warm and inviting atmosphere that Brock has nurtured in his gym. I can sleep now, I am not afraid to do domestic chores, I feel confident and strong. I lost inches and gained muscle. I am very grateful to Brock and I recommend that anyone out there who is at the point where they think that this is as good as it gets… check again! Brock will design a plan for you that is truly unique and tailored to your needs. He has done more for me then any physiotherapist has and I owe him my sincerest THANKS! Emailing Brock was the best thing I could have done to help myself and my family. Thank you, Brock! You truly are a life-saver! I have been training with Brock and his incredible team for just a little over a year now. My mom had originally been training there beforehand and introduced me. Since then, I’ve never looked back. I think it’s safe to say Brock and his team are hands down the most experienced and committed trainers around in Muskoka. They have so much passion and knowledge for all things regarding fitness and health and they’ve truly transformed my life! Brock designs a program specific to each client’s goals and makes what once may have seemed impossible to possible. No matter where your fitness level stands, Brock and his team are dedicated to helping you attain your goals! They’ve shown me just what my body’s capabilities are, and I’ve never felt stronger and healthier. I’m doing things now that I’d never even DREAM of doing before! If you’re looking for a trainer who not only motivates you but also can provide you with proper techniques to maximize your performance, Brock and his team are where it’s at! 100% recommend! !